We find out all about Kate Makin and her local shop Northern Yarn. Kate not only owns an independent local wool shop, but is a manufacturer of ‘Northern Yarn’ her own wool, farmed from local Quernmore sheep! 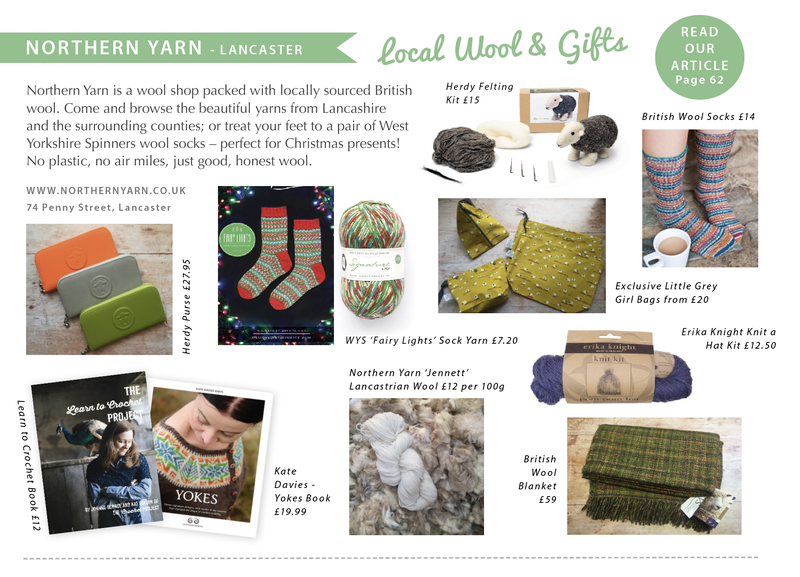 Northern Yarn is an independent wool shop based at 74 Penny Street in Lancaster. Kate Makin started her business in 2016 after her local wool shop closed. 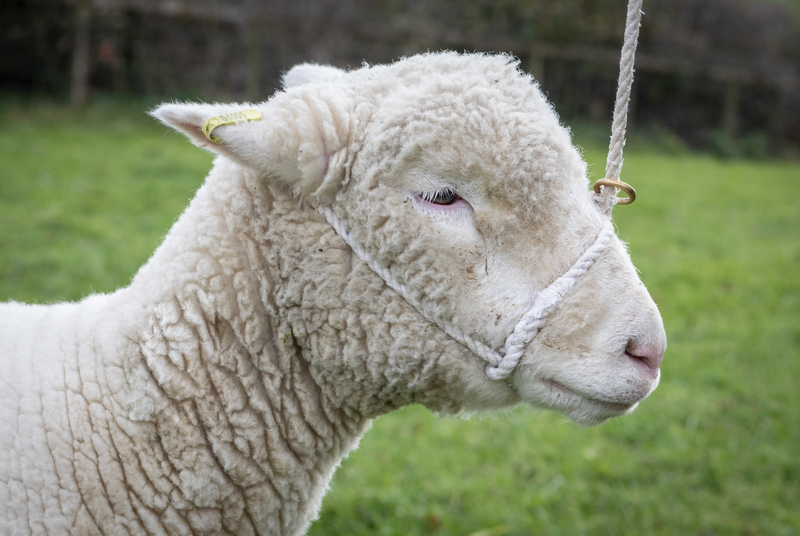 Frustrated that there was nowhere to buy the British wool she loved to knit with, despite being surrounded by dozens of sheep farms, Kate sought to find a range of British yarns for knitters and crocheters. She started off selling these yarns at market twice a week, selling wool in wind, rain, and snow to customers who, like Kate, loved knowing the source of their yarns. Last year, Kate decided it was time to move into a more permanent environment. 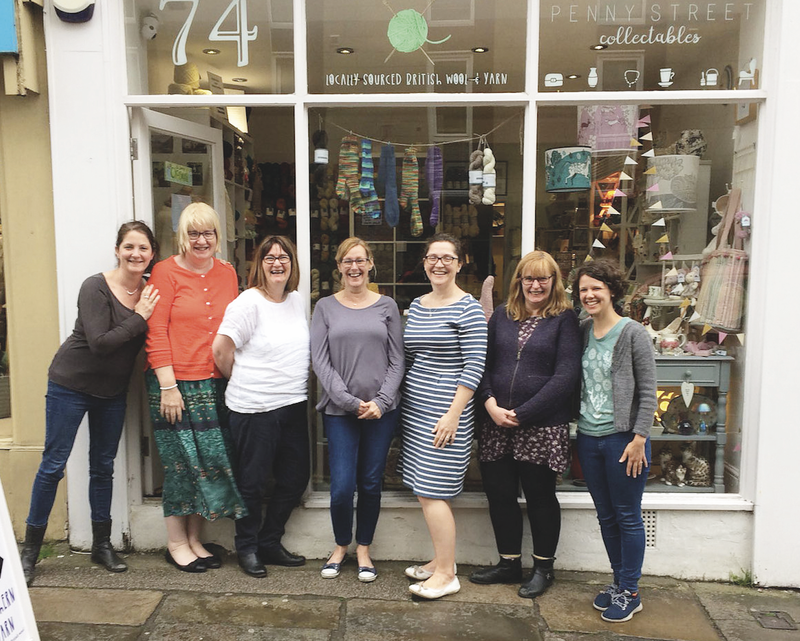 She’s packed her shop at Penny Street full of locally sourced British wool, patterns, accessories and knitting and crochet related luxuries. Kate doesn’t just stock British yarns though—she also produces her own. Her Northern Yarn line is all about following yarn from sheep to skein: finding quality fleeces from local sheep, paying farmers a higher price for them, and getting them scoured, combed, and spun into beautiful breed- and farm-specific yarns for makers to enjoy. Her first batch of yarn came into being from conversations with local farmers at the school gate: she bought the fleeces of Lynn & Michael Lund’s pedigree Poll Dorsets, who roam the fields of Quernmore, and had them spun into a 4-ply and DK weight yarns. The results were brilliant—the yarn sold out in a matter of weeks. Since then, Kate has sourced Zwartbles fleeces from Garstang, Lonk (a native Lancashire hill breed) fleeces from Bradshaw, and Mule fleeces from Yealand Manor. For her most recent yarn line, Kate’s again working with the Poll Dorsets in Quernmore. This time, Kate gathered a group of friends together and spent hours hand sorting the tufts of lambswool, making sure only the best fibres made it into the blend. The result is a much softer, but still bouncy yarn and its name—Jennett—has a very special story behind it. Kate first encountered the story of Jennett Cragg when she had just moved back north to Lancaster. She and her family quickly realised that the radiators were not going to keep their old house warm in the winter, so she invested in a stove and bought it from a farmer out in Quernmore (Bob Whitaker Stoves). When Kate visited the farm to pick up her stove, in the midst of conversations about her move from London to Lancaster, Bob related the story of his ancestor, a Quaker woman named Jennett Cragg. In 1687, Jennett got the terrible news that her daughter and son in law had died in London from typhoid, leaving behind two very young children. Worried for her two young grandchildren, she hopped on her horse, rode down to London alone—or so local lore has it—and brought them back to Quernmore in her panniers, risking everything to get her family back home. 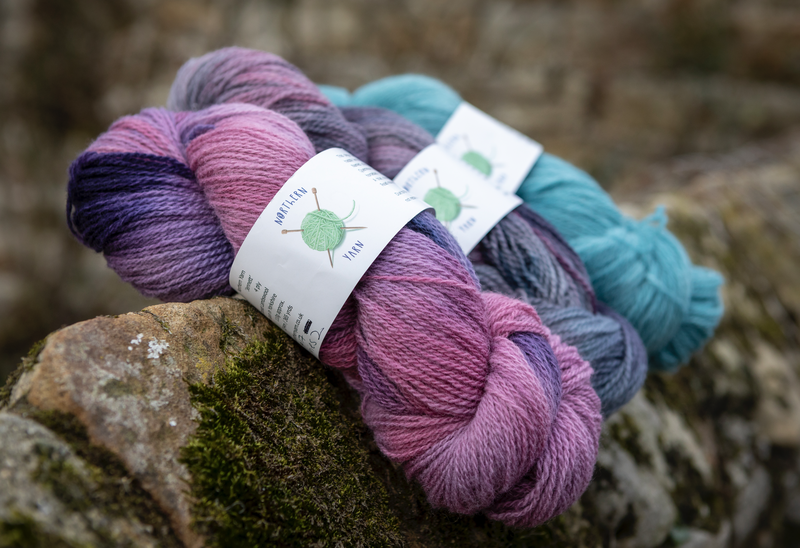 The story stuck with Kate, not least because, once her first batch of Quernmore yarn had made it out into the world, she received an email from a customer in Australia who said she was desperate to get their hands on it because her ancestors hailed from Quernmore. A few emails later and Kate found out that this customer too was related to the famous Jennett Cragg! So when this year’s yarn was ready, Kate decided it deserved a special name, one that captured centuries of Lancashire’s history and traditions and celebrated the strength and determination of this local hero. Kate hopes that as knitters and crocheters work with it, they’ll think of the many stories that one skein contains: stories of the hardworking people who have worked the land here for generations, of the sheep who roam the beautiful landscape, of Kate and her friends elbow-deep in lambswool, and of course of local legend Jennett Cragg and her strength, bravery, and love for her family. Jennett is a woollen spun 4-ply yarn, sold in 100-gram skeins (334 meters/skein). Undyed skeins retail for £12. Kate has also worked with local hand-dyers to have skeins dyed in colours inspired by Lancashire; dyed skeins are £17. Kate also runs knitting and crochet classes at the shop, details of which can be found on her website www.northernyarn.co.uk She also has a weekly knitting group, Purl, that meets at the Gregson on Moor Lane, every Monday from 8pm. Everyone is welcome!